Explore below to see what we have to suit your style…. Camp in the beautiful surroundings of the State Forest. 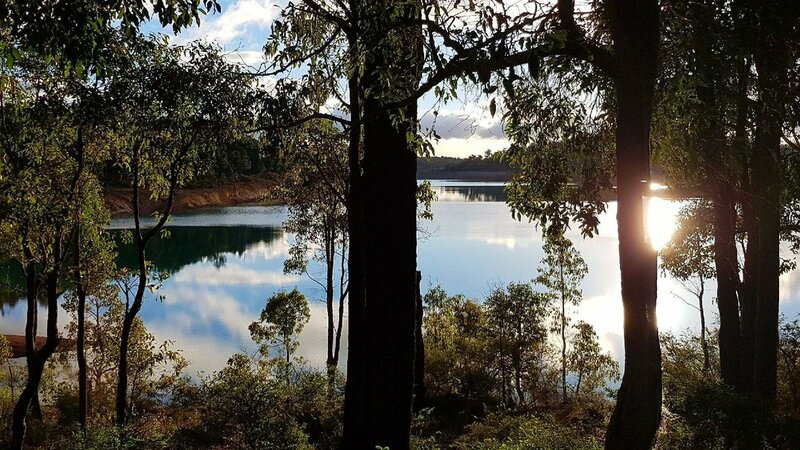 Enjoy sunsets over the Logue Brook Dam. 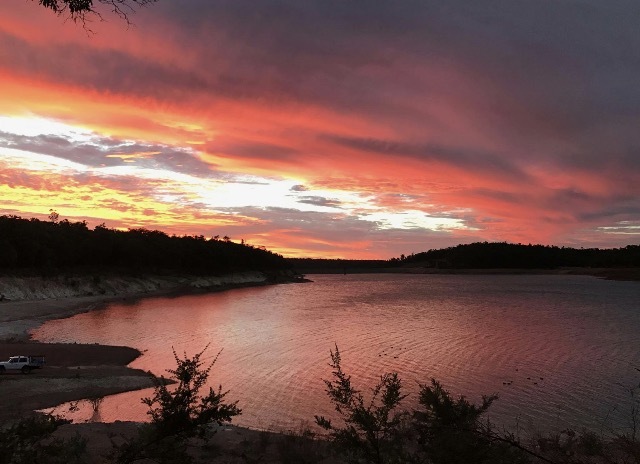 Lake Brockman Tourist Park is set in the beautiful surroundings of the state forest, 10 minutes away from the Harvey townsite. 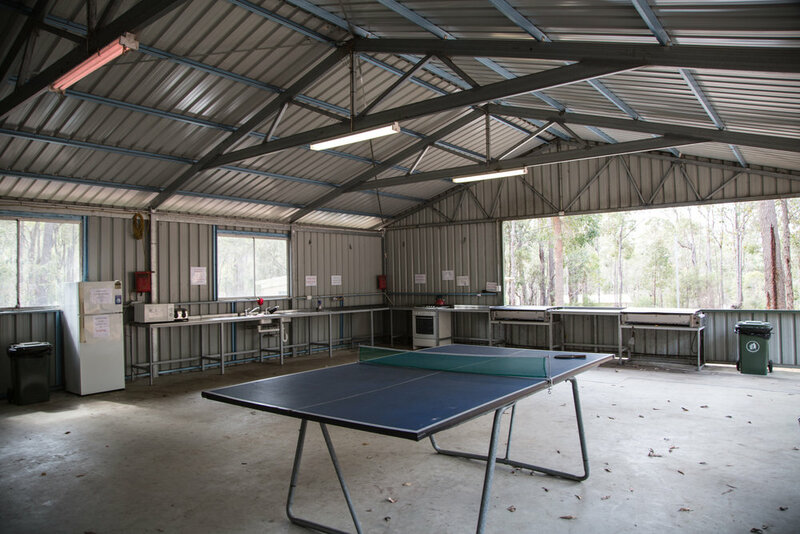 We have caravan & camping facilities, three ablution blocks, a laundry and a camp kitchen for your convenience. 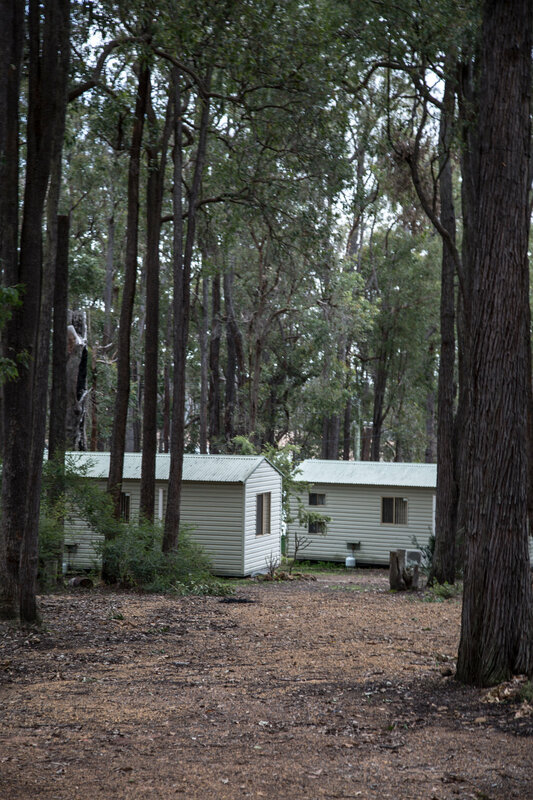 If you don't have a caravan or tent, stay in one of our cosy cabins. You can bring your canoe, or swim in the clear fresh water of the dam. You can also fish for trout all year round and catch Marron in-season. Sit on the Cafe balcony overlooking the forest and dam, while having a fresh coffee, devonshire tea or a light lunch. Lake Brockman has both powered & non-powered sites in different sizes to accommodate for those large RV's, down to the small two-man tents. 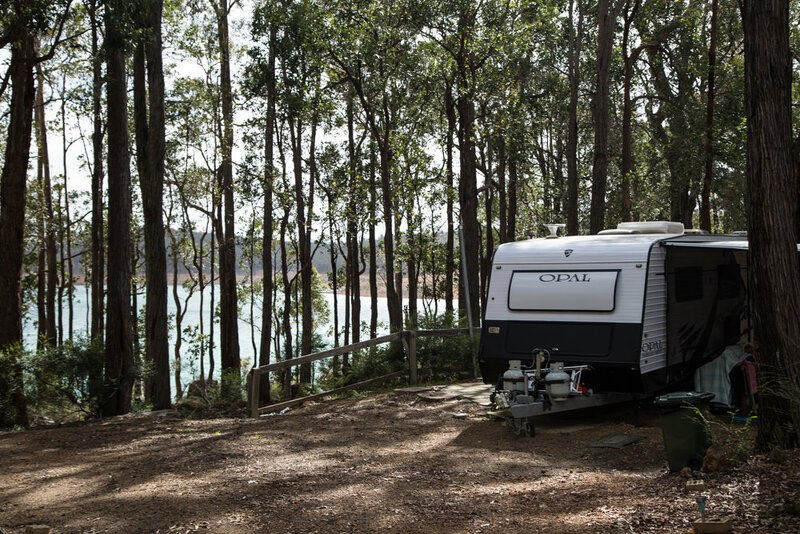 For those that don't own a tent or Caravan, we have Cabin's available equipped with reverse-cycle air conditioning & a kitchenette. Dogs are welcome, but must stay on a lead at all times. No dogs allowed if your staying in a Cabin. Check out the new state of the art playground recently installed - hours of fun for the kids!! Our Cafe is open daily from 8am - 5pm, and caters for breakfast, lunch & light snacks. Relax on the balcony overlooking the Logue Brook Dam while enjoying a Devonshire tea with our freshly baked Scones. Large groups should phone the office to book a table, especially in peak periods. Our Powered & Non-Powered sites vary in size to accommodate for different sized Caravans, or groups. Each site is conveniently located nearby one of our Ablution Blocks, which are regularly maintained. 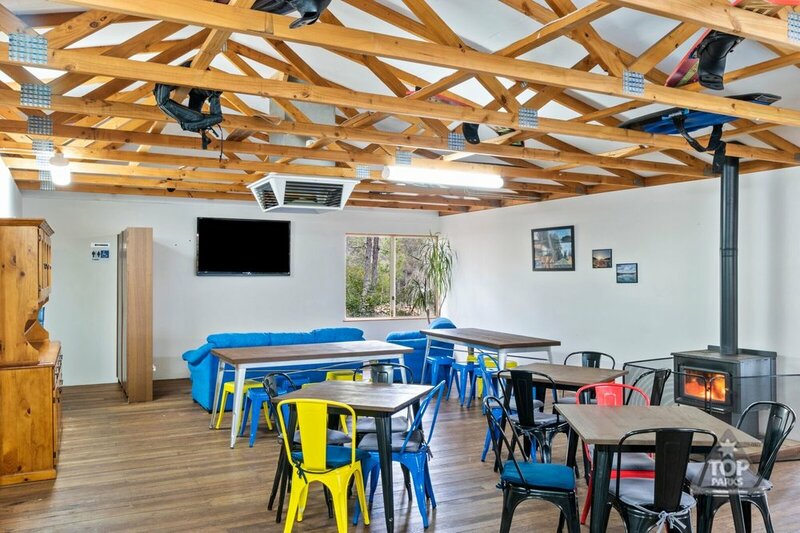 Speak to the friendly staff at Lake Brockman to discuss your site requirements. 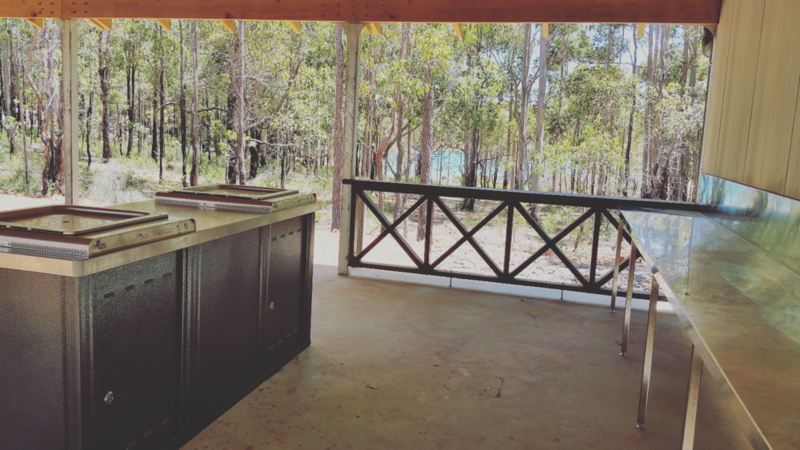 Each Cabin & the Bunkhouse is equipped with a Kitchenette, two bedrooms, a decked porch area & a fire-pit. The Parkhome additionally has it's own Bathroom. See the accommodation page for further details on our cosy cabins. 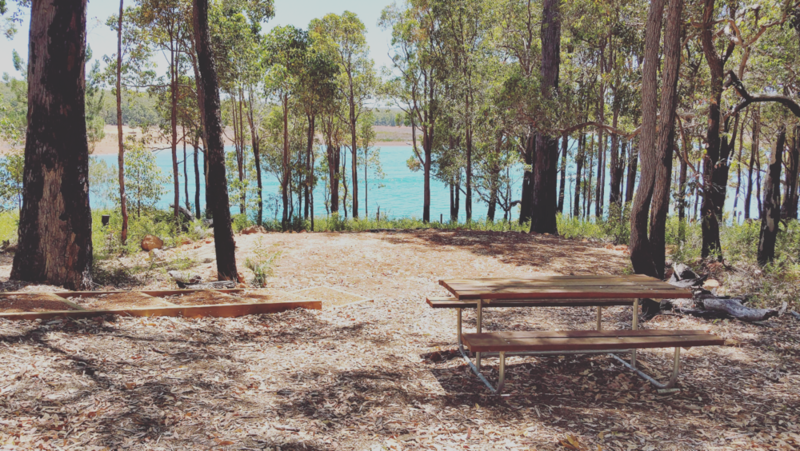 The new Logue Brook Camping area has replaced the camping on the banks of the dam. 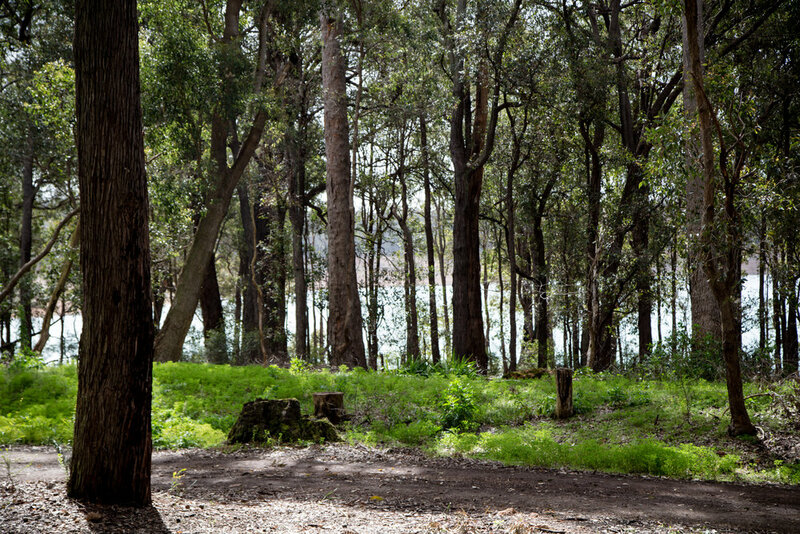 Each site has a flat manicured area for your tent, parking for your vehicle or Caravan, a park bench and a fire-pit. 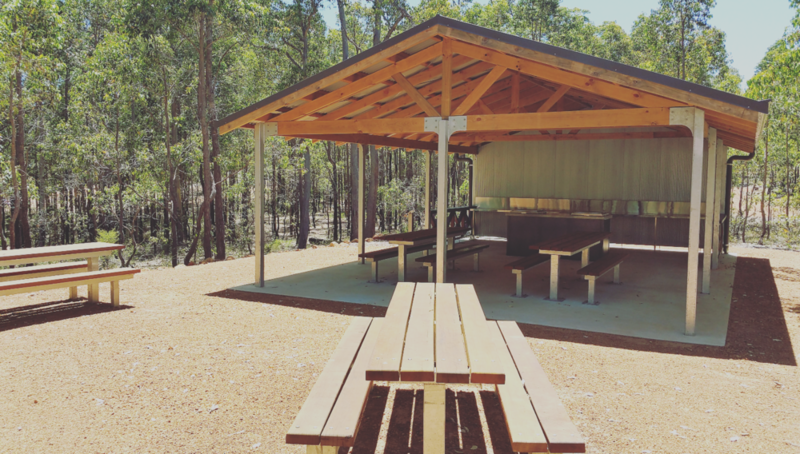 Each site is conveniently located to an Ablution Block and Camp Kitchen. 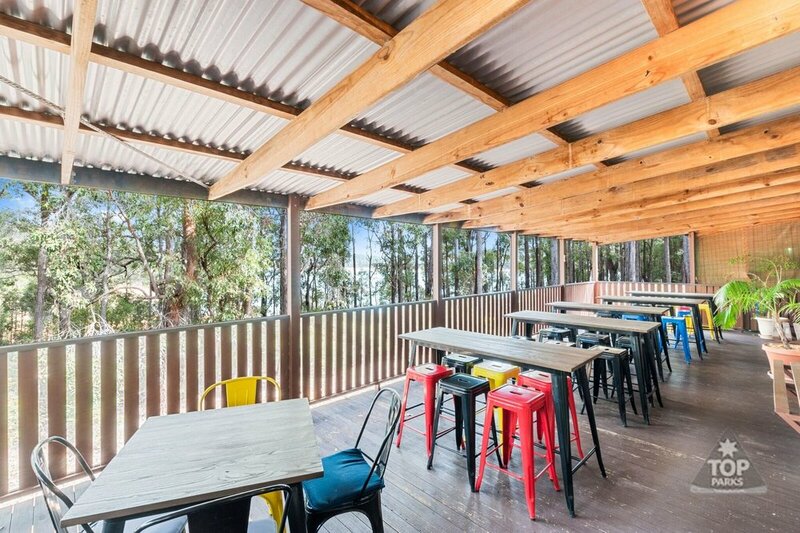 Speak to the friendly staff at Lake Brockman to discuss your site requirements. 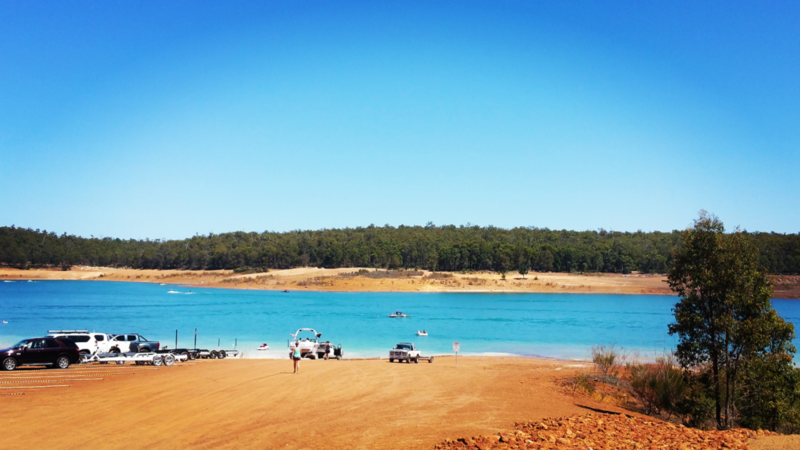 A fresh water dam, perfect for swimming, water skiing and fishing. Come and say hello!